There are a few frequent questions that arise concerning the Cabinet Catalog. Today we’ll cover those questions as we investigate adding a cabinet to the cabinet catalog. This applies to Cabnetworks, the Detailer and the Design program with some minor variations. First, you need to configure the cabinet the way you want it to be saved. 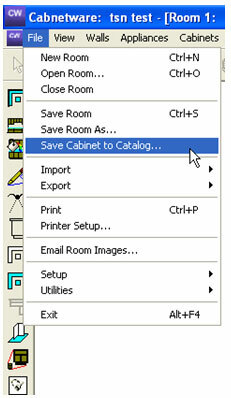 Then, choose Save to Catalog from the cabinet menu. 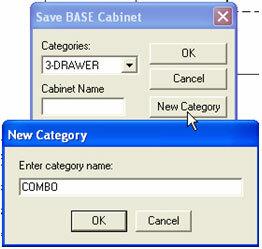 Or choose Save Cabinet to Catalog from the File menu and select the cabinet. Choose a Category or click New Category to create one and then select it. Supply a unique short name for the cabinet. This name can be expanded on later. 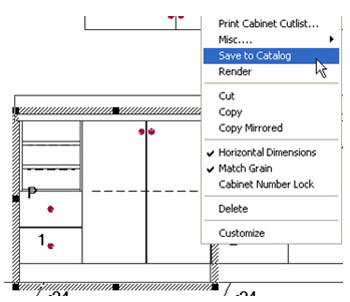 Note the Keep Picking Cabinets check box if you used the File menu choice of Catalog Cabinet saving. This allows you to save cabinets one after another. 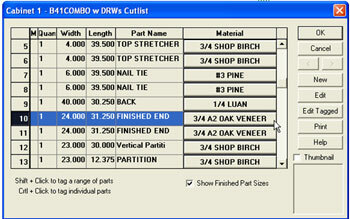 To make the Catalog Cabinet show on the pick list, or make the name longer, choose Pricing… from the File –Setup menu. 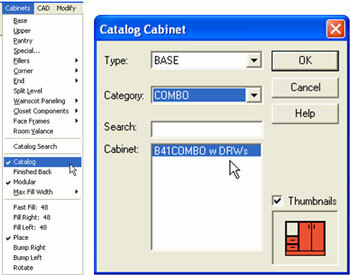 Click on Catalog Cabinets and New (or Edit if the Line is already created), to create a New Combination. This combination or Line Name will determine how the Catalog cabinets are priced as well as the names that are displayed on the floor plan and in reports. Choose a combination of your Parameter files to define the Line Name. Click on the Prices button to get to the pricing grid. Once you are in the Prices grid, click on the Names button to get to where you can edit the short name. Scroll down to find your cabinet and edit the name in the Line column. Close and save your changes. To use the catalog cabinets in a room, choose Catalog – Place and the cabinet type. 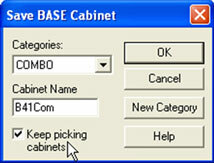 Then select the cabinet from the category and the cabinet list. There is a display option in Preferences to show either the long or short catalog name. Choose Room Only if the cutlist changes are just for this room design. 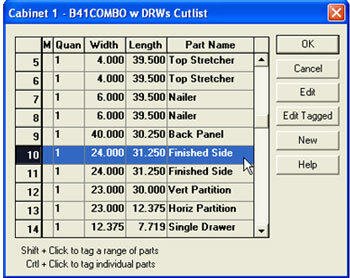 Choose Catalog if the cutlist changes are to be saved back to the Catalog cabinet. 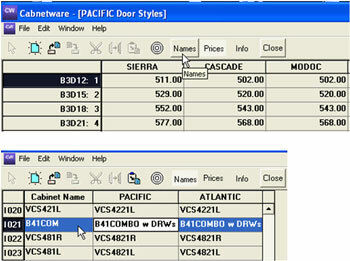 Note how if Catalog is chosen, the Material and Door style isn’t listed. This is so when this cabinet is used in a room with any material or door style, the parts will conform to the selected room defaults. If you have Cabnetworks you can also make changes to parts internally and save them back to the catalog cabinet. Select Multi-Cross Section for the cabinet. 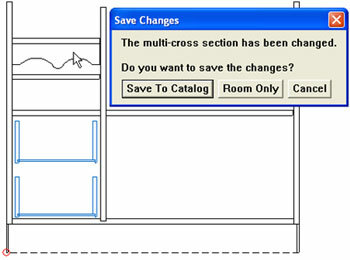 Make your changes and when you save the changes you’ll have a choice of saving the changes for the Room Only or back to the Catalog cabinet. 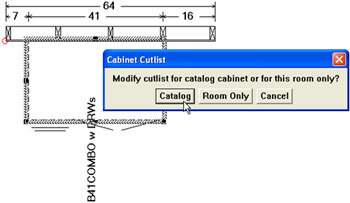 So, if you want Cutlist and Multi-Cross Section changes to be saved to the Catalog cabinet, you must retrieve the cabinet from the Catalog, make the changes, and then save the changes back to the Catalog. You don’t need to re save the cabinet itself to the catalog.